Sitting proudly within the High Park area in Toronto you'll find a unique home built with Victorian, French and Italianate architectural styles. Constructed in 1889 by a local architect, the historic home now belongs to Scot Steele. "The 20+ year old black asphalt roof was showing signs of wear and it was time to make upgrades before the next winter," says Steele, an executive vice president with CBRE Limited, a real estate brokerage firm. "I sourced the DaVinci product through the Internet and had a great experience." 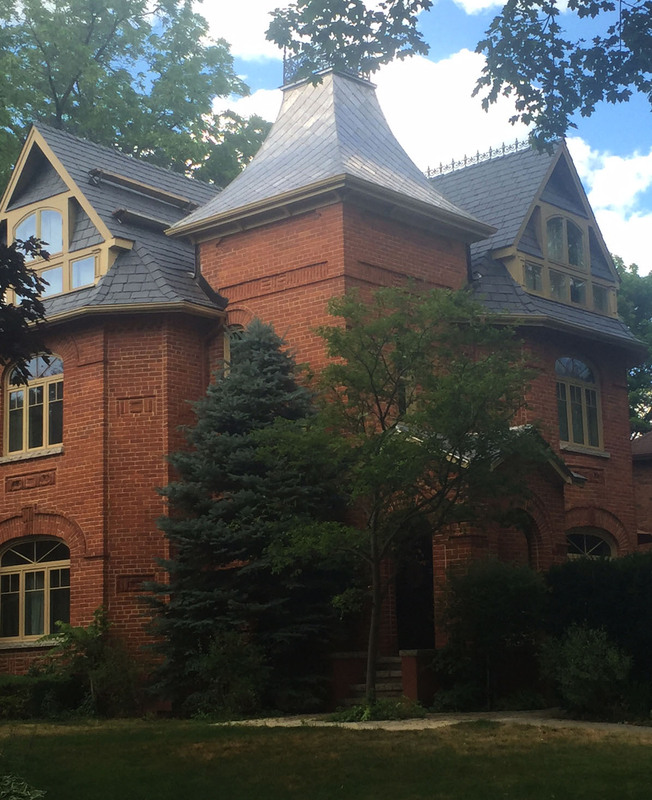 Steele hired Green Leaf Roofing to re-roof his historic home. "The look of slate was an obvious choice to complement this home's style," says Paolo Galloro, sales manager with Green Leaf Roofing. "Scot found the DaVinci Single-Width Slate tile had the best profile available in a synthetic roofing product. "Our company has installed the DaVinci product in the past and we've found it installs easily, just like other roofing materials. We handle both residential and commercial roofs and can definitely see this product working on multiple projects in our area." From Steele's perspective, he selected the Smokey Gray color to complement the red brick exterior of his 127-year-old home. "I had roof cresting, otherwise known as finials, added to the top of the new roof line to truly reflect the historic nature of this home," says Steele. "I love the way the composite slate roof looks and have already recommended this roofing to others. People see it from the street and they can't believe it's not real slate!"